After Mike forwarded me the link to the R-9 coffee table on the RPF (Real Prop Forum) i felt that i needed to take a look at the site. 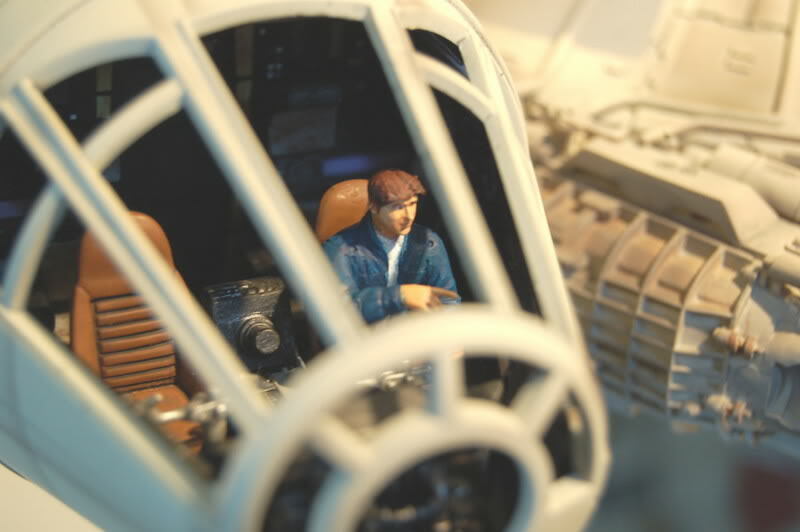 I recently joined and there are some very nice entries for the Millennium Falcon. I was just browsing through entries for the Falcon and i came across this rather interesting thread from cking. 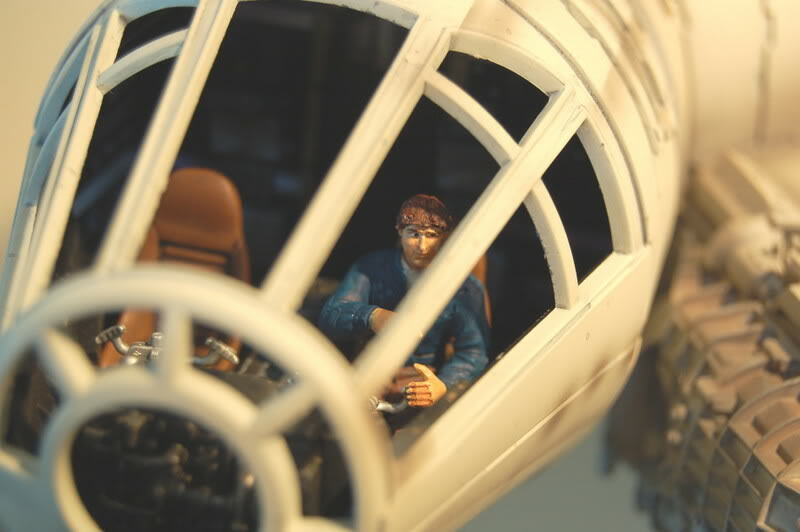 Back in 2007 he scuplted some Han and Chewie figures from A New Hope designed to sit inside the cockpit of the Master Replicas Studio Scale model. Sweet!!! Unfortunately i’m about 4 years too late to get a set of these, but i sent him a message anyway to see if he had any left or was considering doing another run. 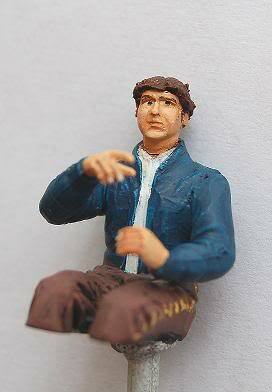 He isn’t but is going to send me a couple of pictures of the figures. 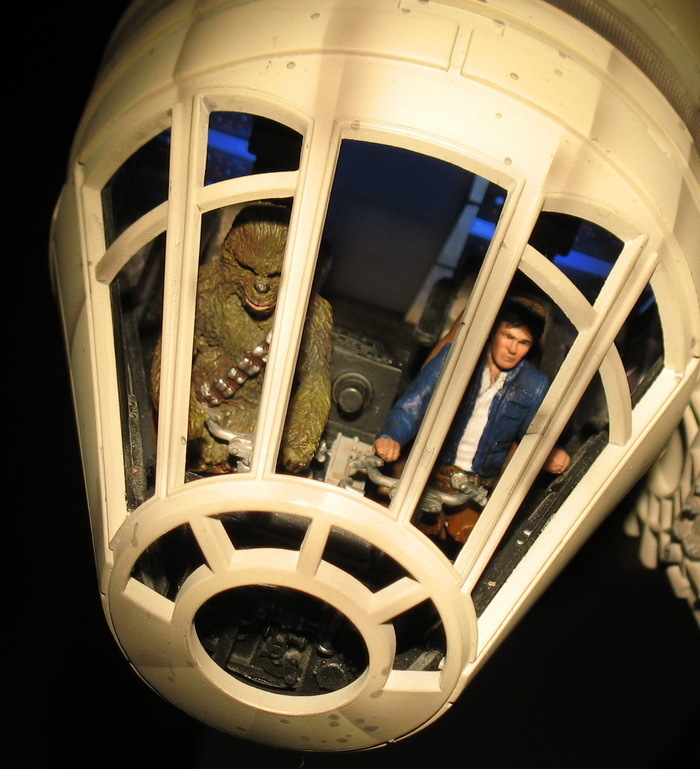 Reading through the entries on the forum, there were also a set of Han and Chewie figures for The Empire Strikes Back which is even better as the Studio model this is based on was from Empire. I wonder if he plans to do a set for Return of the Jedi featuring Lando Calrissian and Nien Numb? I doubt it, but with the 30th anniversary of ROTJ coming up that would be a nice little present. I did a search on Google and found these, but i don’t know if they’re the same. These look fantastic. Damn, i want one. This entry was posted in Fan Stuff, High End Collectables, Master Replicas, Things that i don't have yet.... Bookmark the permalink. 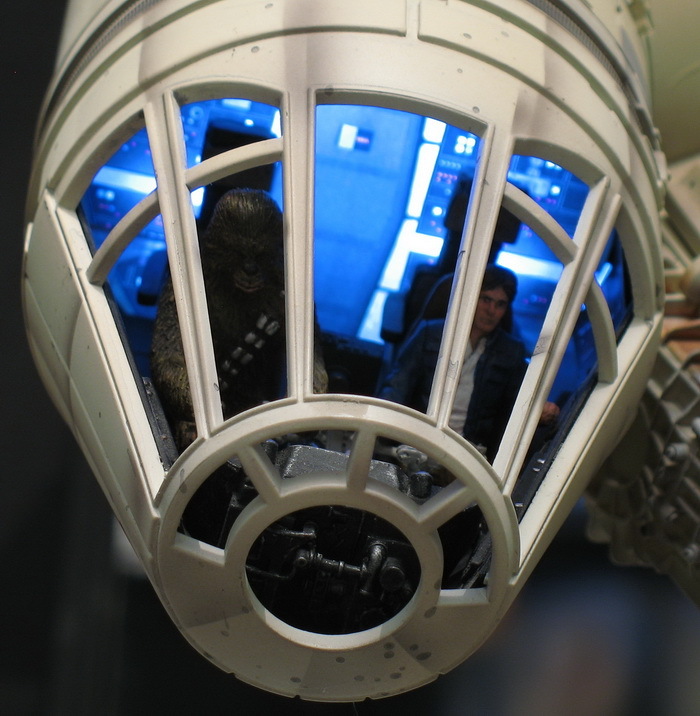 I have the figures from the Transformers Falcon in my MR Falcon’s cockpit. They look pretty good from a distance, if maybe a bit too small. Thanks icruise. they don’t actually look that bad. Like you say, just slightly too small. Nice photo.